Pelger-Huet anomaly is a benign dominantly inherited defect of terminal neutrophil differentiation secondary to mutations in the lamin B receptor (LBR) gene. 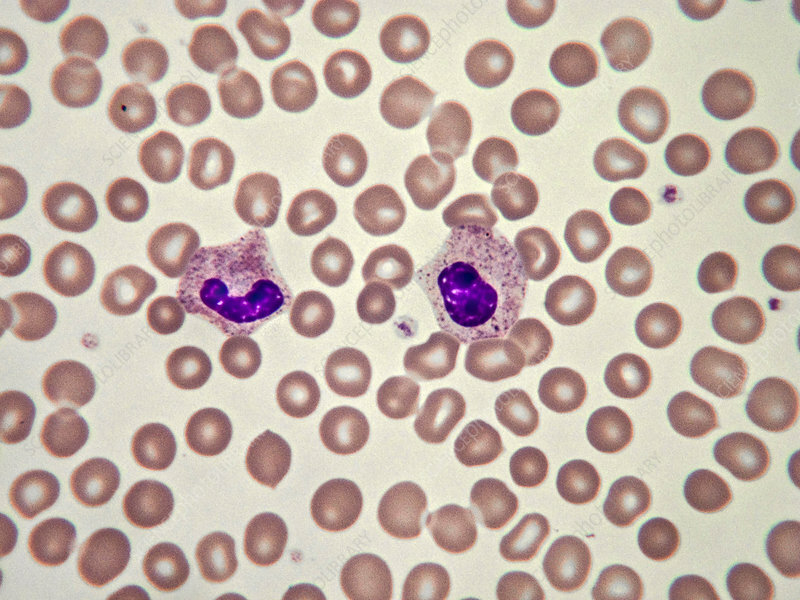 Some leukocytes appear as dumbbell-shaped bilobed nuclei (as shown here). Light micrograph, Wright-Giemsa stain. Magnification: 100x.